Excel Roofing Luton are a trusted, professional roofing company, with over 15 years experience in the trade. If you are looking for an honest roofer in Luton that turns up when they say they will, completes the work you want, and does so at a competitive price, speak to us today. We focus on providing all types of roofing repairs and maintenance to the highest finish, and with a quality that is made to last, we only use the finest roofing materials for all of the work we complete and believe in offering our customers an excellent value for money service Monday to Saturday. With a 24 hour emergency call out response available for crisis roof repairs, we will send a professional roofer to give you help and advice, with a written. Quotation for any work required sent via email or post. We offer free advice, non-obligatory quotes and estimates. If you are looking for a roofer in Luton, then please give us a call. "Due to work done by DIY or cowboys roofers from previous owners the roof was a patch work mess. Leaks and water soaked boards meant that we needed a new roof covering on my flat roof. Excel came and advised me on the best way forward. I research and spoke with friends and family before deciding on which material would be best and hence decided to go with Excel. The guys came back and measured up and gave me a date and time. They were punctual, polite and cheerful even in the cold weather and kept us informed and showing us whatever they found that was not right. They did a marvellous job and cleaned up before leaving, even taking away rubbish that the previous cowboys left behind. Would definitely recommend Excel. Thank you guys for a brilliant job." "Due to extensive damage cause by cowboy roofers to my mother’s house, Chris and the team came out and did emergency repairs to stop any further damage to the property and the neighbour’s property. Due to heavy rain it was an utter relief that we found Excel who were super responsive and an absolute god send. They then repaired the main roof and replaced the flat roof garage along with the neighbour’s flat roof garage. Excellent standard of work and highly proactive (considering the bizarre nature of the work done by the cowboy roofers before). Throughout the work was provided with updates which enabled me to keep everyone informed of the progress. At the end of the work was charged the price on the quotes. They were very understanding of the situation and I would very highly recommend them for any type of roof work. Thank you Excel Roofing for being absolute stars!" "Chris came out to view the 2 flat roofs,he was understanding and helpful,he said he would email the quote within 2 hours and he did. 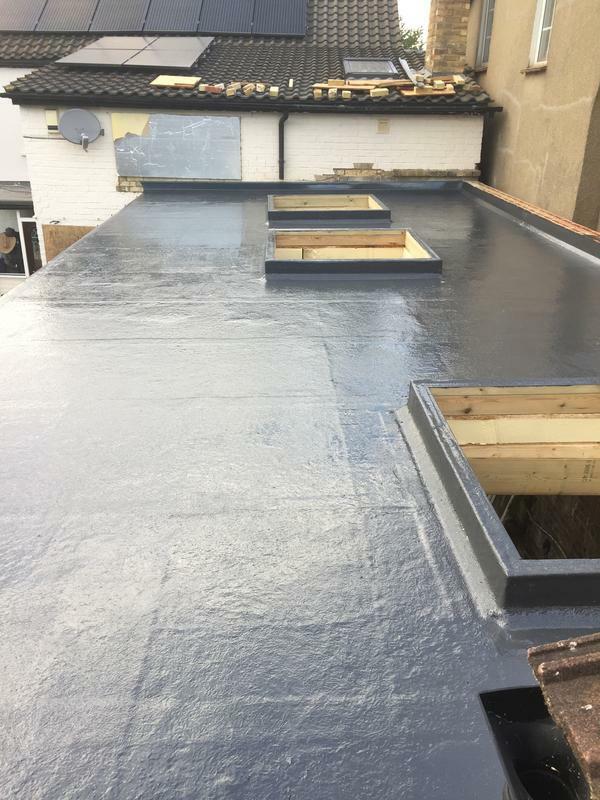 The 3 guys who done the roofs were polite and productive,they cracked on with the job.The end result is a joy to see .P.S keep them happy with tea and biscuits." "Wasn't the cheapest quote I had but certainly the most comprehensive and I felt that the overall standard of service they were offering was well worth the extra money and I wasn't wrong! Excellent customer service, very prompt, neat and tidy and a superb job. Will definitely recommend to anyone who needs their services and will also be using again for ongoing maintenance of the guttering."